In coming decades, better birth control like long-acting IUDs and implants may make elective abortion virtually obsolete. But for now, unsought pregnancy is still painfully common; over a million American women have an abortion each year. Women end pregnancies for many reasons, but often one of those reasons is that they take motherhood very seriously. Some have commitments, limitations, or dreams that are not compatible with raising a flourishing child. Many others want to be the best mothers they can be, either to their future children or children they already have. Similarly, men who support their partners in ending an ill-timed or unwanted pregnancy often care deeply about fatherhood, and they go on to have children when circumstances are better. This means that a lot of parents have one or more abortions in their past. If you are one of these mothers or fathers–or simply someone who believes that abortion access helps women and men and families to thrive–how and when should you explain this to your children? Match the conversation to the child. As a psychologist and mother, my belief is that it is never too early to tell your child about your abortion experience or about sexuality and family planning more generally, provided it is done in a way that fits their developmental stage. My husband and I have been open with our daughters about family decisions including our abortion since the time they were in preschool. From their point of view, they have always known that mommy and daddy stopped an unhealthy pregnancy so they could make a healthy baby instead—daughter number one–and then later mommy and daddy wanted her to have a buddy–daughter number two. At every age, we parents must find ways to talk with our children about hope and plans, about disappointment and loss, about choosing and responsibility, and about what it means to be a loving family together. At every age, we share our values. At every age, we teach our children about concepts like healthy, enough and too much, and not yet. Abortion involves all of these things, and as a parent, you know how to have these conversations because you know your child. So, talking with your child about abortion is like any other conversation in which you share your values and thoughts about how to live wisely and well, in prudence and balance and love and compassion. You keep it simple and take cues from your child about when you’ve said enough for now. Talking about abortion is also a matter of storytelling, because stories about your life (or the lives of other people) are just that, stories, which again is something familiar to children. In thinking about how to tell your child about an abortion, it can be helpful to think about what other kinds of stories your child is able to absorb. What kinds of words and concepts do you use to talk about your day or current events? What kind of vocabulary does your child use to tell you about his or her experiences? What books hit the sweet spot when you read aloud—or when your child reads to him- or herself? All of these offer clues to how you can tell an abortion story in words that make the experience understandable. Use concrete analogies to make things clearer. The process of family formation is unfamiliar to your child, as are educational and career planning, financial planning, intimate relationship dynamics, and many other factors that play into abortion decisions. So, you may find that it helps to draw analogies to parts of life that your child has experienced first-hand or learned about previously. On sequencing: We lay out your clothes in the evening and pack you lunch in the morning before school so you will be ready for school. Birds build nests before they lay eggs, and foxes make dens to get ready for their babies. Parents want to get a job and make a home and find a loving partner before trying to have a baby so they will be ready to give their kid the healthiest, happiest life. On budgeting: Kids like you save up money for a special toy; families save up money for a special vacation—or a special baby. On timing: Grandma buys seeds for her garden and then waits for the spring so that they will get the sun and warmth they need. She tries to plant at the right time in the right place so that the sprouts will grow strong and healthy. On enough and too much: Imagine if a farmer has a small bit of land and just enough grass for 10 goats. What would happen if he came home with 20 or 30? Or Think about our dog (cat, rabbit, guinea pig). What do we do to take care of her? Now imagine if we had ten dogs or cats or guinea pigs. Don’t forget the end of the story. Nobody has an abortion for the sake of the medical procedure itself. Women or couples choose an abortion for the sake of the lives and loves that become possible afterwards. That is the culmination of your abortion story, so don’t tell just the first half of the story. What did your abortion allow you to do? With whom did it allow you to share your love? Might that include the child with whom you are talking? The most common emotion following an abortion is relief and gratitude. But feelings can be complicated. As with any important life decision—buying a house, choosing a spouse—a percent of women who decide either to end or to carry forward a surprise pregnancy will afterwards experience regret and wish they had chosen differently. Also, a woman who chooses an abortion for health reasons or because of difficult circumstances, may experience a sense of grief or loss even if she feels confident that her decision was the right one. Lastly, some small percent of women who have an abortion may afterwards experience hormonal fluctuations akin to post-partum depression. As your child is able to process complexity, it is ok to be honest about the bad along with the good. In fact, your experience may provide a valuable opportunity to model how grown-ups make the best decisions we can and then live with the decisions we have made. It helps to understand nature’s process. Talking about abortion may mean that you need to add to your child’s understanding of reproduction itself. If your child is young, you may need to start by explaining that everything that lives begins with a seed that gets fertilized and then grows into a sprout or embryo and then grows into a plant or animal. You can let them know—because it’s true—that all plants and animals make lots of extra seeds and lots of extra sprouts or embryos so that at just the right time and place the healthy ones can grow into a plant or animal of their kind. Even some adults don’t fully understand that reproduction is a big funnel. Nature’s way of producing healthy offspring is by making lots of extras (some of which aren’t formed quite right) and then winnowing down to the ones that are healthy and well situated to thrive. In mammals, spontaneous abortion is a normal, common part of this process. In human beings, most fertilized eggs and embryos fail to implant or get spontaneously aborted by the mother’s body—often because the embryo isn’t healthy or the mother’s body isn’t ready. Therapeutic abortion complements this natural process like antibiotics complement natural antibodies. Babies are more precious than embryos. Most of the time simple answers suffice, and it is generally best to focus on the values and story we discussed earlier, including the good things that followed from the abortion. But at some point, you may need to inoculate your child against anti-abortion messages he or she will hear from other people (or address messages he or she has already heard). Chief among these is the idea that abortion kills babies and that people who either have or provide abortions are murderers. Most children instinctively protect babies, and they know that hurting little creatures is bad, so they are particularly vulnerable to anti-abortion language. That said, no matter what your child’s age, he or she is capable of understanding the difference between an egg and a chicken–or an acorn and an oak tree—or an embryo and a baby—and that this difference matters. Depending on the circumstances and what has been said in the past or questions that come up, you may choose to describe or even show what gets removed during a typical abortion. (It is a little round squishy thing between the size of a grape and a tennis ball, like the inside of an egg without the shell.) You might ask if your child has ever seen a bird egg that broke before it was ready to hatch. 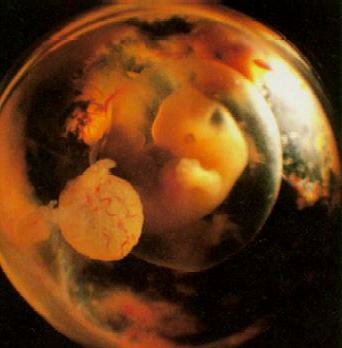 Here is a slightly squishy photo of a fetal bird and one of an embryonic rabbit and one of a human embryo. Or, here is a beautiful image of a human embryo still in the sac at seven weeks gestation, the most common stage of development for an abortion. If I came home from the store with a carton of (fertilized) eggs, could I say that I have twelve chickens or even chicks? If I had a bag of almonds, could I offer to sell you 100 almond trees? Why not? Or you might say something like this: “Some people get confused about the difference between a baby and an embryo, but babies are more important than embryos.” Then talk about what some of the differences are: A baby is this big, it can look at you, it may not be able to talk, but it can feel sad or mad or hungry or thirsty or happy or sleepy or alarmed or content. A baby can want something. A baby can feel warm or cold, and it can feel you when you touch it. An embryo might be the size of a crumb or a pea or a golf ball or a tennis ball, or even an ostrich egg, but it can’t do any of those things because it hasn’t developed a brain—just the very beginnings. Once it grows a bit, it looks kind of like a miniature baby on the outside a long time before it has the stuff that makes it into a full-fledged baby. If need be, address the anti-abortion movement. At this point you might cycle back through some of what you have said about the consequential differences between embryos and babies. Alternately, you might pivot to talk about why you think it is important that all families can decide whether and when to have a child. All children experience first hand the fact that parenting is a lot of work and that kids need and want a lot from their parents. This direct experience helps them to understand that nobody should be a parent except by choice–when they are ready to do that work and love a child with their whole heart. Kids also have a keen sense of fairness, and will understand instinctively that it’s not fair if people who have more money can decide when to have a kid but people who are poor can’t. It should go without saying that you will be able to have matter-of-fact, calming, honest conversations with your child only if you are in that head-space yourself. So, before talking with your child, it’s worth taking inventory of your own feelings and maybe talking them through with a partner or friend. For decades, abortion foes have been preaching shame and guilt, demeaning women and couples who choose not to carry forward ill-conceived pregnancies. They deny that women and their partners often think deeply about whether to carry forward an unexpected pregnancy, and that under difficult circumstances they often make decisions guided by prudence, responsibility, wisdom and love. Some abortion foes even lie about health and mental health impacts of abortion (which is far, far safer than carrying a pregnancy to term), so that when bad things happen people will blame themselves. If the shame and guilt and misinformation have gotten inside of you, then you may first need to process through your own feelings before talking with your child. Only by taking care of ourselves can we take care of the children we love. As you broach the topic of abortion with your child, remember that conversation means two people get to talk. Ask your child questions. Let him or her ask you questions. The tone can be serious or, if you are talking about things like chickens and eggs, lighthearted. Pay attention to your child’s interest and mood; you can always circle back to the topic if they are signaling that the time isn’t right. If you watch, you will find fitting windows of opportunity. Gallery | This entry was posted in Reproductive Health and tagged abortion, abortion stories, children, family planning, kids, parent, Parenting. Bookmark the permalink. Thank you, this is thoughtful but it is also feeling, and as such is very useful. There are people who tend to be thinkers (like me) and there are people who tend to be feelers who are guided more by their emotions than facts, and I have always found it difficult to communicate with “feeler” type people, even if they are people I know well and love. Many of your examples are really good ways to reach feelers and help them to understand. We will not reach these people by quoting factual information, because their default is emotion and they will rush in to protect what they believe/feel are babies, even when the facts prove them wrong. The facts “feel” wrong, so they won’t accept them. But your comparative lessons might make a dent. Who know? I will try. 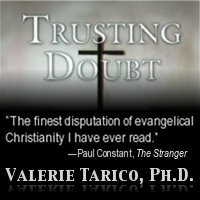 Valerie, you’ve convinced this old liberal Catholic that abortion IS a positive good. I’m putting my mouth where my beliefs are and sharing this with friends (especially women who’ve been shamed by “christians” into keeping silent. Thanks so much. Thank you, Angela! I’m honored that you thought so deeply about my words. How I wish that this incredibly moving explanation for an abortion were published on every editorial page of every newspaper in America. I’d contribute my monthly social security check to see that happen. But I should have promised that if it’s carried by at least the Ten Top Metro Daily Newspapers- NYT, Seattle Times. and Nine others- I’ll Write a Letter To The Editor to each Thanking Them. Now have to figure out how I’m going to be able to follow the other eight, to spot it. I marvel at You! Thanks for a thoughtful, accurate, detailed explanation of a topic that many find difficult. This article should be helpful to anyone who needs it. I’ll certainly use it as a psychologist if any client of mine is struggling with considering or having had an abortion. It helps me clarify aspects of the issue I may not have thought of. Another great article! I especially like this line: “In human beings, most fertilized eggs and embryos fail to implant or get spontaneously aborted by the mother’s body—often because the embryo isn’t healthy or the mother’s body isn’t ready. Therapeutic abortion complements this natural process like antibiotics complement natural antibodies.” Exactly. This is a point that I often raise in discussion with adults, albeit with limited success. Fundies will reply, “well just because God/ Nature kills 60-70% of them doesn’t mean it is ok for us to do it!” Also the chicken and the egg, acorn and oak tree, adults will try to argue on the basis of DNA, while children can clearly tell the difference because they have not yet been “programmed.” All the more reason to educate your child before somebody else gets to them. Keep up the good work, Valerie!